Last week we celebrate Dr. Seuss’s birthday, we read about his life and some of his books, “The lorax” and “Huevos verdes con jamón”(Green eggs and ham), the kids loved it. 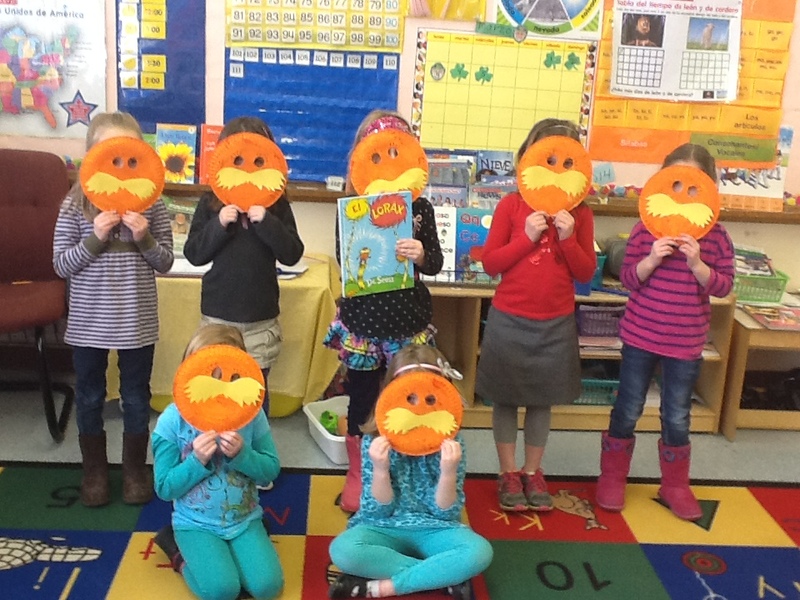 Check out the lorax masks they built!! !